Nothing I hate more than when I can't get internet when I am traveling! I have always been jealous of those people with the cool Hotspots that allow them to get wireless internet everywhere and anywhere! Affordable and convenient for everyone on your readers' gift list, the new NetZero 4G Mobile Broadband Hotspot is a gift many will want to buy for themselves! The Hotspot offers a portable way to access the Internet and can be used with laptops, netbooks, iPads and other tablets and can go anywhere you go – all with an incredibly fast and secure connection at an affordable price. The NetZero 4G Mobile Broadband Hotspot is the perfect gift for bosses, friends, kids, grandparents or anyone who needs access conveniently and affordably! Best of all, the Hotspot requires no contract or commitments, so it’s ready to go as soon as the wrapping paper comes off. It can connect to 8 devices at one time and is a perfect stocking stuffer for iPads or other tech gifts this season! 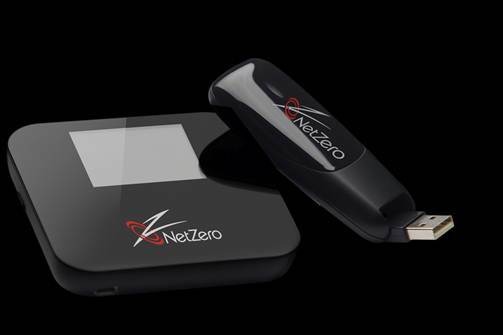 Win It: NetZero is generously offering (1) NetZero 4G Mobile Broadband Hotspot to a lucky winner!